In the quest for pavement options that improve road safety and are friendly to the environment, permeable pavements may be an answer, according to findings of a new study. 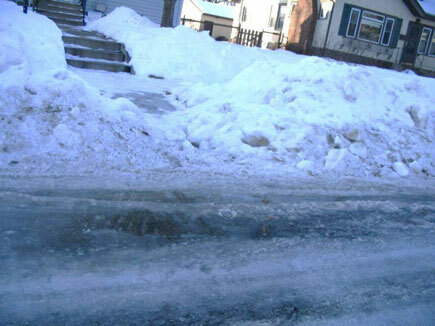 Researchers led by Professor John Gulliver of the Department of Civil, Environmental, and Geo- Engineering completed a comprehensive review of permeable pavement research and construction in northern climates. The project, funded by the Minnesota Department of Transportation (MnDOT) and the Minnesota Local Road Research Board, revealed that permeable pavement systems offer a number of environmental and safety benefits. Permeable pavements are designed to absorb water and allow it to drain directly into the underlying layers of a pavement structure. They generally consist of a surface layer of permeable material (asphalt, concrete, or pavers), and then one or more layers of aggregate with void spaces that can store stormwater runoff until it infiltrates into existing soil or is carried downstream by drain tile. Infiltration is considered a “green” treatment of road runoff, and the permeable pavement will filter any water that runs off through the drain tile, Gulliver explains. The final research report includes findings from nine case studies of permeable pavements in Minnesota and other northern climates. In a project in St. Michael, for example, MnDOT researchers studied and compared two porous asphalt sections and one densely graded asphalt section. According to Gulliver, the permeable pavements performed well in ride quality, permeability, strain response, safety, and quietness. They also performed better in the water quality of runoff and infiltration. 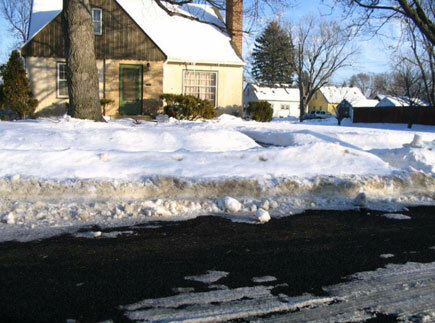 Additionally, snow and ice melted faster on the permeable pavements compared to traditional asphalt. Gulliver says the study’s findings indicate that permeable pavement, with its safety and environmental benefits, is a viable alternative to traditional pavements in the state. ‹ Does telecommuting alter travel behavior and residential choice?